Forget chasing mice! This brave theatre cat is busy chasing crime suspects! Who said it’s a dog’s life? Max the cat would beg to differ – except that cats never beg! This pampered puss lives the high life at the famous Theatre Royal. And when he’s not dining on tasty treats or taking in a show, he’s out solving crimes. Now the celebrated singer Madame Emerald is acting rather strangely. Why is her maid so terrified? And what kind of singer refuses to perform on stage? 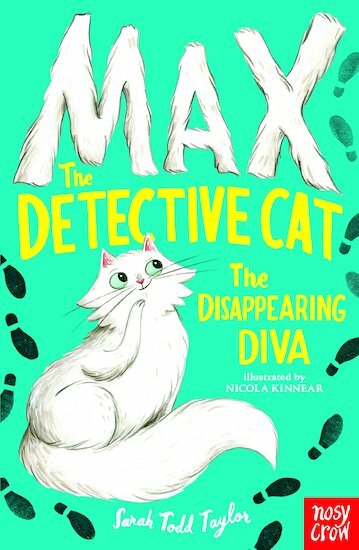 Soon Max is dashing round dancers’ legs and over London’s rooftops, in a race to catch a thief and unravel a sinister web of crime!